Here is a beautiful button from the state of Vermont. 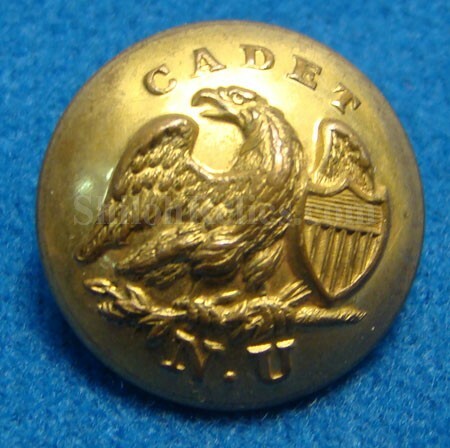 It is an original 2-piece post Civil War button for the Norwich University in Northfield, Vermont. This is the pattern that is listed as SU287 in Albert’s button book. It shows the American eagle on the front with the shield at her side. Across the top it proudly reads "CADET” and across the bottom is the "N.U.” for Norwich University. Tice’s book has a good bit of information on the school that was founded by Captain Alden Partridge in 1820. 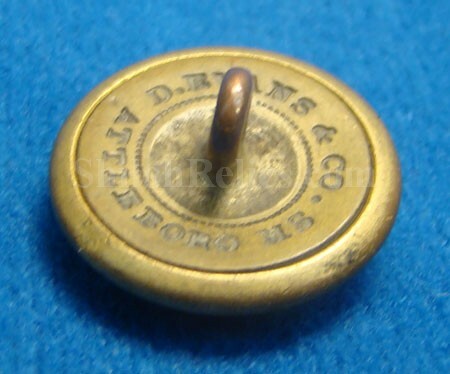 He states that this button would have been made after the Civil War. 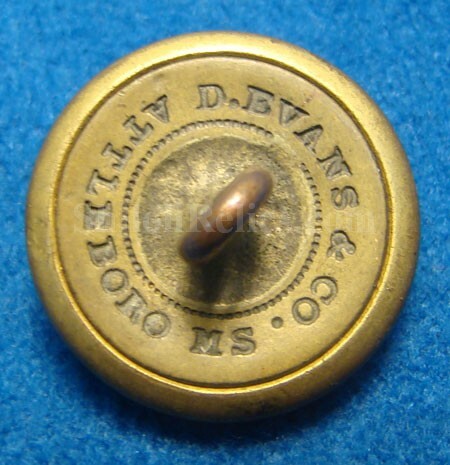 This one is in beautiful non-excavated condition and has the correct D. Evans maker mark visible on the reverse. This is a beautiful piece!